Gene Chandler (born Eugene Dixon) also known as "The Duke of Earl" or simply "The Duke", is an American R&B and soul singer-songwriter, producer and record executive. 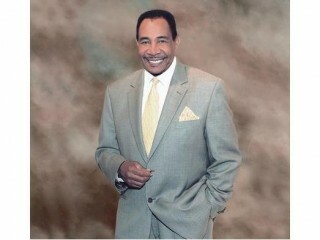 He is one of the leading exponents of the 1960s Chicago soul scene. He is best known for his million-selling hits, "Duke Of Earl," and "Groovy Situation," and his associations with the Dukays, the Impressions and Curtis Mayfield. A Grammy Hall Of Fame inductee, and winner of the National Association of Television and Radio Announcers Producer of the Year Award, and the Rhythm and Blues Foundation's Pioneer Award, Chandler has had more than thirty chart hits. Gene Chandler recorded more than three dozen singles between 1961 and 1980, the most famous of which was his first major hit and trademark number, "Duke of Earl." With the success of that song in 1962, Chandler adopted the persona of R&B royalty, affecting the formal attire of a distinguished gentleman and calling himself the Duke. With four albums and 22 singles on the Billboard Top 100 pop chart during the 1960s and 1970s, he enjoyed a durable career. Chandler was eventually credited with 28 hits in the top 100, 19 hits in the top 40, and one gold-certified song. As a manager and record producer in the 1970s and beyond, he owned two record labels, served as a producer at A&M Records, and was named a vice president at the Chicago label Chi-Sound. In the early 2000s he joined several of his soul-music contemporaries--Jerry Butler, Ben E. King, and Lloyd Price--on tour as the 4 Kings of Rhythm & Blues. Influenced by Pookie Hudson and the Spaniels, Chandler was a well-known curbside crooner in his youth. He formed a vocal group, the Gaytones, while a student at Englewood High School in his teens. In 1957 he put his doo-wop career on hold and joined the United States Army for a tour of duty that sent him to Germany until 1960. Following his discharge, Chandler was discovered by an artist manager named Bernice (Mrs. Bruce) Williams. Under her professional guidance, Chandler was introduced to agent Bill Sheppard, and Sheppard found a slot for Chandler as the lead singer with a doo-wop group called the Dukays. The Dukays, which included Ben Broyles, Earl Edwards, Shirley Jones, and James Lowe, had been performing for two years. With Chandler on board in 1960, they recorded a single called "The Girl Is Evil." Nat Records signed the Dukays in 1961 and released that track under the title "The Girl Is a Devil." The song was a minor hit, and the group had recorded two follow-up songs by the end of that year. The first of these, "Night Owl" (also known as "Nite Owl"), was released on Nat, and it entered the Billboard Top 100, peaking at number 73 in February of 1962. A second song, "Duke of Earl," co-written by Chandler and Bernice Williams, had its distribution rights assigned to Vee-Jay Records, where Calvin Carter, an artists-and-repertoire (A&R) executive, identified the song as a potential chart hit. Carter refused to grant Nat permission to release the single and released it instead on the Vee-Jay label, where staffers had anticipated Chandler's potential as a soloist. "Duke of Earl" appeared as a single in November 1961, with a song called "Kissin' In The Kitchen" on the B-side. Vee-Jay credited the recording to an unidentified soloist, called simply the Duke. "Duke of Earl" was a major hit, with one million copies sold by the end of the calendar year; the song topped the pop and R&B charts in February of 1962. In January of 1962 Vee-Jay executive Carl Davis convinced Gene Dixon, lead singer of the Dukays, to adopt the professional name of Gene Chandler, after the actor Jeff Chandler. Joining Vee-Jay as a solo artist, Chandler adopted the persona of the Duke. He dressed as a natty gentleman, clad in top hat, tails, and cloak; he wore a monocle, carried a cane, and recorded a follow-up solo track, "Walk on with the Duke." When that song appeared early in 1962 it was also credited also to the Duke. It peaked at number 91 in April of 1962. With "Duke of Earl" maintaining a presence on the charts, Chandler sustained his initial momentum to build a career that would span decades. Chandler appeared, as the Duke, alongside Chubby Checker and Vic Dana in Oscar Rudolph's musical feature Don't Knock the Twist in 1962. One year later--by now billed as Gene Chandler--he signed with Constellation Records, a startup label, where he worked with singer-songwriter Curtis Mayfield of the Impressions. Singing Mayfield's material, Chandler recorded a series of memorable songs including a second signature number, "Rainbow"; he recorded that song three times, on three different labels: for Vee-Jay in 1963, for Constellation in 1965, and for Chi-Sound in 1980. Among Chandler's hits composed by Mayfield were "Just Be True," which reached number 19 on the Billboard pop chart in August of 1964, and "Nothing Can Stop Me," which peaked at number 18 in June of 1965. Chandler recorded three singles for Checker Records, beginning in March of 1966: "I Fooled You This Time," "The Duke of Soul," and "To Be a Lover." The first of these charted in the top 100. A series of chart hits marked his subsequent affiliation with Brunswick Records in 1967 and 1968. Among these were his popular duets with Barbara Acklin, which included the top 100 pop hit "From the Teacher to the Preacher" and "Show Me the Way to Go," which reached number 30 on the R&B chart. Chandler purchased Bamboo Records in 1969, and that year he launched the short-lived Mr. Chand Records as well. Among other successful production efforts, Chandler released the soul hit "Backfield in Motion," by Mel & Tim. A million-selling crossover hit, "Backfield in Motion" reached number 10 on the pop chart as well. Chandler's pop hit "Groovy Situation" led off a string of singles he recorded for Mercury Records between 1970 and 1972. Several hits also arose from Chandler's association with Mayfield's Curtom Label, from 1971 to 1973; these included a 1971 duet with Butler, who was also a member of the Impressions. Called "You Just Can't Win (By Making the Same Mistake)," this noteworthy single led to the release that year of an album of Chandler/Butler duets, called One & One, on Mercury Records. As the 1970s unfolded, Chandler expanded his presence behind the scenes. His affiliation with A&M Records as a producer, beginning in 1974, was interrupted briefly in 1976 when he was convicted of a drug infraction. Caught selling 388 grams of heroin to an undercover narcotics agent, Chandler was incarcerated and served four months of a one-year sentence. After his release he remained with A&M into 1977, and in 1979 he was named executive vice president at Chi-Sound Records. At Chi-Sound, Chandler's career as a singer was revitalized by the disco dance craze of the late 1970s. With his longtime associate Carl Davis as producer, Chandler released a series of songs on the label that became hits in the United Kingdom. Of these, "Get Down" (1978) marked Chandler's return to the U.S. Top 100 as well. "Get Down" peaked at number 53, and a 1979 album by that same name reached number 47 in the United States. Still notching hits in the 1980s, Chandler released a full-length album on Fastfire, called Your Love Looks Good to Me, in 1985. Chandler still performs in Chicago, Las Vegas and elsewhere in the US. Years later, still residing in Chicago, Chandler appeared in the 1999 George Veras television documentary Doo Wop 50, which was narrated by Butler. In the early 2000s Chandler joined Butler, Ben E. King, and Lloyd Price on tour, as the 4 Kings of Rhythm & Blues. In 2004 Chandler's tour schedule included stops from coast to coast, across the United States, with bookings through 2005. There was hardly an American conscious of music in the 1960s who did not remember "Duke of Earl," but audiences learned that there was more to Gene Chandler than that first hit. "The Girl's a Devil" (with the Dukays), Nat, 1961. "Night [Nite] Owl" (with the Dukays), Nat, 1961. "Duke of Earl"/"Kissin' In the Kitchen" (credited to The Duke), Vee-Jay, 1961. "Walk On with the Duke"/"London Town" (credited to The Duke), Vee-Jay, 1962. "Daddy's Home"/"The Big Lie," Vee-Jay, 1962. "I'll Follow You"/"You Left Me," Vee-Jay, 1962. "Tear for Tear"/"Miracle After Miracle," Vee-Jay, 1962. "You Threw a Lucky Punch"/"Rainbow," Vee-Jay, 1962. "Check Yourself"/"Forgive Me," Vee-Jay, 1963. "Baby, That's Love"/"Man's Temptation," Vee-Jay, 1963. "From Day to Day"/"It's So Good for Me," Constellation, 1963. "Pretty Little Girl"/"A Little Like Lovin'," Constellation, 1963. "Think Nothing About It"/"Wish You Were Here," Constellation, 1964. "Soul Hootenanny (Pt. 1),"/"Soul Hootenanny (Pt. 2)," Constellation, 1964. "A Song Called Soul"/"You Left Me," Constellation, 1964. "Just Be True"/"A Song Called Soul," Constellation, 1964. "Bless Our Love"/"London Town," Constellation, 1964. "What Now"/"If You Can't Be True," Constellation, 1964. "You Can't Hurt Me No More"/"Everybody Let's Dance," Constellation, 1965. "Nothing Can Stop Me"/"The Big Lie," Constellation, 1965. "Rainbow '65 (Pt. 1)"/"Rainbow '65 (Pt. 2), Constellation, 1965. "Good Times"/"No One Can Love You," Constellation, 1965. "Here Come The Tears"/"Soul Hootenanny (Pt. 2)," Constellation, 1965. "Baby, That's Love"/"Bet You Never Thought," Constellation, 1966. "(I'm Just a) Fool For You"/"Buddy Ain't It a Shame," Constellation, 1966. "I Can Take Care of Myself"/"If I Can't Save It," Constellation, 1966. "Mr. Big Shot"/"I Hate To Be the One to Say," Constellation, 1966. "I Fooled You This Time"/"Such a Pretty Thing," Checker, 1966. "To Be a Lover"/"After the Laughter" Checker, 1967. "I Won't Need You"/"No Peace, No Satisfaction," Checker, 1967. "Girl Don't Care"/"My Love," Brunswick, 1967. "There Goes the Lover"/"Tell Me What Can I Do," Brunswick, 1967. "River Of Tears"/"It's Time to Settle Down," Checker, 1968. "Love Won't Start"/"Show Me the Way to Go" (with Barbara Acklin), Brunswick, 1968. "There Was a Time"/"Those Were the Good Old Days," Brunswick, 1968. "From The Teacher to the Preacher"/"Anywhere but Nowhere" (with Barbara Acklin), Brunswick, 1968. "Teacher, Teacher"/"Pit of Loneliness," Brunswick, 1968. "Go Back Home"/"In My Baby's House," Checker, 1969. "Little Green Apples"/"Will I Find You" (with Barbara Acklin), Brunswick, 1969. "Eleanor Rigby"/"Familiar Footsteps," Brunswick, 1969. "This Bitter Earth"/"Suicide," Brunswick, 1969. "You Just Can't Win (By Making the Same Mistake)" (with Jerry Butler), Curtom, 1971. "Don't Have To Be Lyin' Babe (Pt. 1)"/"Don't Have To Be Lyin' Babe (Pt. 2)," Curtom, 1973. "Baby I Still Love You"/"I Understand," Curtom, 1973. "Without You Here"/"Just Be There," Curtom, 1973. "Give Me the Cure"/"Tomorrow We May Not Feel the Same," Chi-Sound, 1978. "Get Down"/"I'm the Travelling Kind," Chi-Sound, 1978. "Please Sunrise"/"Greatest Love Ever Known," Chi-Sound, 1979. "When You're #1"/"I'll Remember You," Chi-Sound/20th Century, 1979. "Do What Comes So Natural"/"That Funky Disco Rhythm," 20th Century, 1979. "Does She Have a Friend? "/"Let Me Make Love to You," Chi-Sound, 1980. -Duke Of Earl Vee-Jay, 1962. -Walk On with the Duke Vee-Jay, 1962. -You Threw a Lucky Punch Vee-Jay, 1962. -Just Be True Constellation, 1964. -Bless Our Love Constellation, 1964. -Greatest Hits by Gene Chandler Constellation, 1964. -Nothing Can Stop Me Constellation, 1965. -Live! On Stage Constellation, 1965; reissued as Live at the Regal Charly, 1986. -I'm Just a Fool for You Constellation, 1966. -I Fooled You This Time Checker, 1966. -The Duke of Soul Checker, 1966. -To Be a Lover Checker, 1967. -Girl Don't Care Brunswick, 1967. -There Goes the Lover Brunswick, 1967. -There Was a Time Brunswick, 1968. -Two Sides of Gene Chandler Brunswick, 1969. -Gene Chandler Situation Mercury, 1970. -Simply Call It Love Mercury, 1970. -Gene & Jerry: One & One (with Jerry Butler), Mercury, 1971. -Yes I'm Ready, If I Don't Get to Go Mercury, 1972. -Tomorrow I May Not Feel the Same Chi-Sound, 1977. -Get Down Chi-Sound, 1979; reissued, Charly, 1992. -When You're Number One 20th Century, 1979. -Gene Chandler '80 20th Century, 1980. -Does She Have a Friend For Me Chi-Sound, 1980. -Just Be True 1980; reissued, Charly, 1995. -I'll Make the Living if You Make the Loving Worthwhile 1982. -Haven't I Heard That Line Before Fastfire, 1984. -Stroll On with the Duke Solid Smoke, 1984. -Duke of Soul MCA, 1984. -Your Love Looks Good on Me Fastfire, 1985. -60s Soul Brother Kent/Ace, 1986. -Live at the Regal 1986. -Duke of Earl: 23 Greatest Hits Sound, 1992. -Duke of Earl: Platinum Pop Platinum Pop, 1994. -Nothing Can Stop Me: Gene Chandler's Greatest Hits Varese Sarabande, 1994. -Tell It Like It Is Black Tiger, 1995. -Duke of Earl: Prime Cuts Prime Cuts, 1995. -Best of Gene Chandler Platinum Pop, 1995. View the full website biography of Gene Chandler.